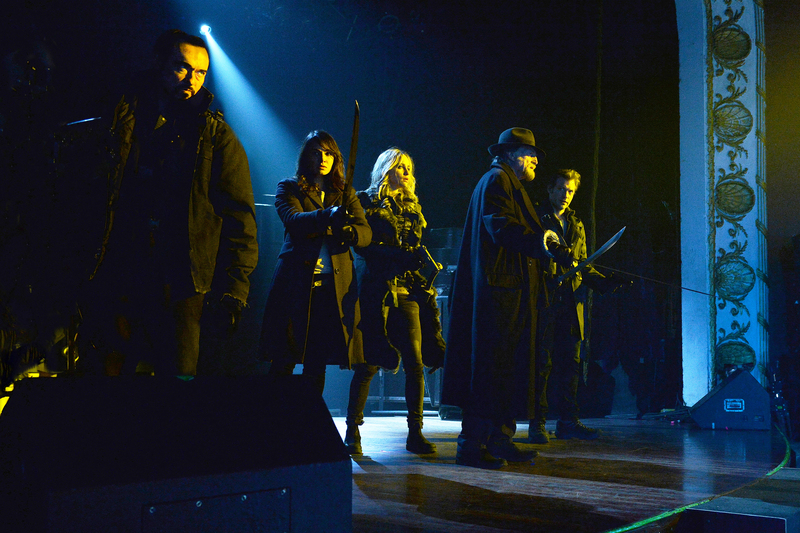 The Strain’s Kevin Durand on His Stoic Exterminator Hero! 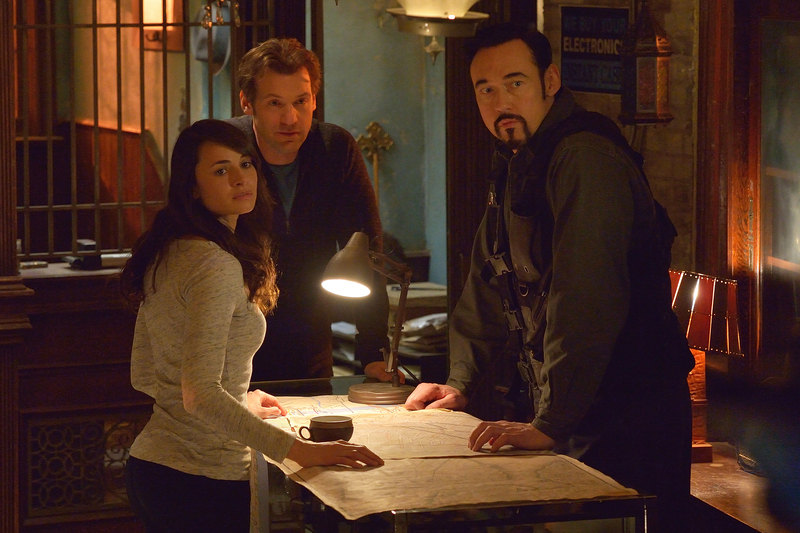 The Strain’s (FX, Season Finale Tonight, 10/9C) Kevin Durand is probably best known for playing villains – like Lost’s Martin Christopher Keamy – though he always brings something interesting to roles that fall on the positive side. The Strain’s Vasiliy Fet is one of the most interesting characters he ever played – smart, educated, a good judge of character and definitely a man who likes to work alone – yet recognizing when it’s a good idea to work in a group. The day after last week’s episode, Durand spoke with a group of journalists/bloggers about playing Fet – everything from Fet’s appraisal of Dutch and Epraim, to the way his accent subtly alters depending on who he’s around (more Ukraine with his parents; more New York in a bar getting a drink). He doesn’t just sound like he’s excited to talk about the show and his character, he says exactly that. The result is a lot of fun. MOVIES: Legion: Cheese on a Supernatural Level! 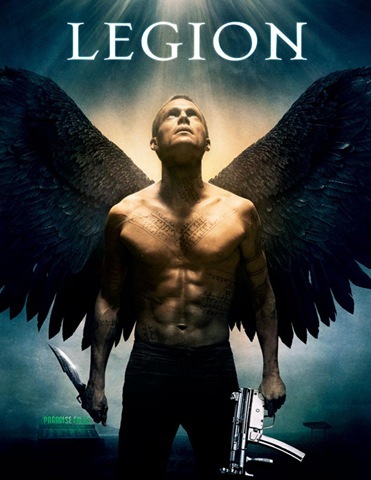 I’m not sure who Legion will affront more – Christians or horror movie fans. The story, simply put, is that God has lost faith in humanity and ordered his angel, Michael [Paul Bettany] to slay an unborn baby and lead the rest of the angels to destroy humanity. Michael said no and was cast out into the world, where he has cut of his wings to show his love of humanity. 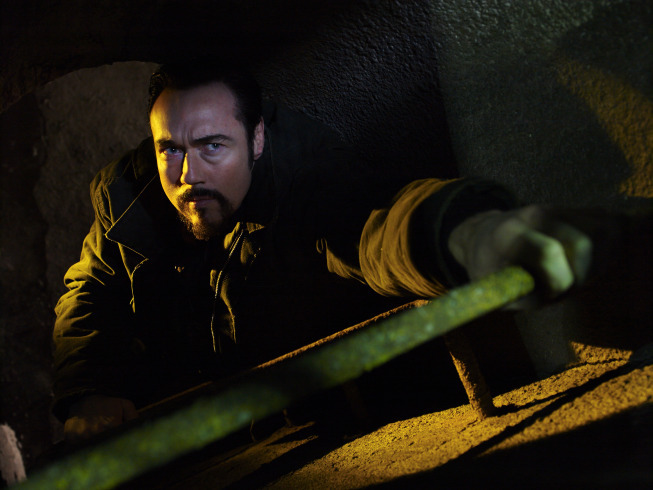 Now the angel Gabriel [Kevin Durand] is sent to kill the baby and destroy the world. Only Michael – and a handful of stranded customers at a diner in the middle of nowhere – stands between Gabriel and the apocalypse.